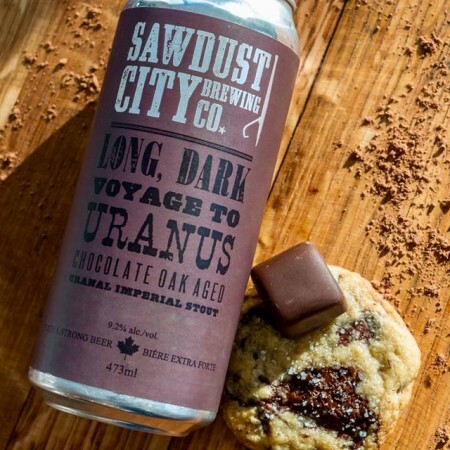 GRAVENHURST, ON – Sawdust City Brewing has announced details of the fourth of its 52 weekly beer releases for 2019. Chocolate Oak Aged Long Dark Voyage to Uranus (9.2% abv) is a variant on the brewery’s popular Long Dark Voyage to Uranus “Uranual Imperial Stout” that has been enhanced with chocolate and aged on oak spirals. Chocolate Oak Aged LCV will be released tomorrow (January 24th) and will be available at the Sawdust City retail shop and online store as well as select beer bars in Ontario while supplies last.